CK had his first fist fight at the tender age of 6. Perhaps that’s when he realised advertising was the perfect career for him. Passionate and always standing up for what he believes in, CK’s honesty and love for creativity has earned his work worldwide recognition. 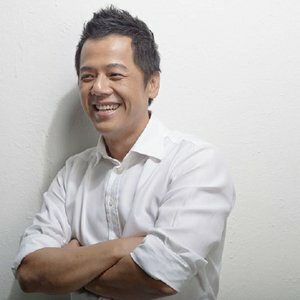 He has worked at some of the best agencies in Asia which include Amber China, Ogilvy & Mather Malaysia, BBDO Malaysia, Leo Burnett Malaysia and Ogilvy & Mather Hong Kong on a host of brands like Malaysia Airlines (Worldwide), Shangri-La Hotels & Resorts (Worldwide), KFC, U Mobile, SCA, Nestle, Unilever, GSK, Maxis, Pizza Hut, BMW, Bernas, Guinness and Nike. 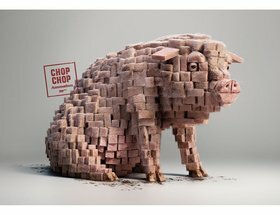 His work has also won the awards that matter, including D&AD, One Show, Clio, Cannes, LIA, Spikes, Adfest, Ad Stars, AWARD, Young Guns, AMES and Effies. CK is now Chief Creative Officer at Amber China. At BBDO, he led his passionate team to #3 in 2013 over the course of 7 months and Agency of the Year a year after at Malaysia’s Kancil Advertising Awards. They won Best of Show for both years as well. In 2015, he won Malaysia’s 1st Grand LIA Award while BBDO was named Malaysia’s most awarded agency by Gunn Report and Directory Big Won Report. The KFC So Good campaign ranked #3 in campaigns across all categories, #1 in Posters, and #2 in Press & Design in the Directory Big Won Report. It was also the #2 Print & Out-Of-Home campaign worldwide in the Gunn Report – a repeat of the feat achieved by the Pictionary Quick Draw Wins campaign. The Pictionary campaign also contributed to Ogilvy Malaysia winning agency of the year at Spikes in 2012. BBDO Malaysia was also ranked the #17 most creative agency worldwide in the Directory Big Won Report 2014 with CK ranked as the #11 ECD worldwide. Today CK still spends his time fighting for great work, although thankfully, not with his fists. He’s got a team for that now.